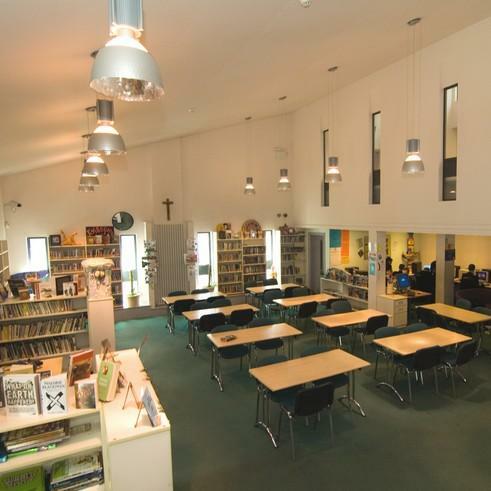 Work at this school commenced with the construction of a new Learning and Resource Centre, comprising library, ICT Study suites, together with a dedicated sixth form study centre. The new building forms a focal point within the school campus and provides a modern, bright, educational environment for pupils, sixth form students and staff. Following the completion of the Learning and Resource Centre, The school commissioned Bate and Taylor to deliver a specialist sports facility, comprising multi gym and specialist sports learning centre. This included modifications to circulation routes within the school that enabled the new facility to combine school use with an income generating, out of school hours, community facility.